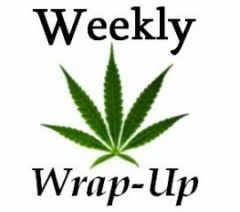 Detroit cracks down on dispensaries, a cannabis real estate investment trust eyes a Big Board listing, and Louisiana State University proposes spending millions on medical marijuana cultivation. The unpredictability of Michigan’s medical marijuana industry continues, even after state lawmakers paved the way for a statewide MMJ regulatory system. Detroit authorities have closed dozens of dispensaries because they didn’t comply with the city’s new zoning ordinance, enacted earlier this year. The city also implemented new licensing procedures for MMJ businesses. Melvin “Butch” Hollowell, Detroit’s corporation counsel, said 171 dispensaries remain open, down from 273 in March. One Michigan marijuana consultant doubts anyone is being treated unfairly. Detroit, along with other cities in the state, implemented new planning and zoning rules and then made them public so dispensary owners would know where to locate their businesses. For example, one of those rules is that dispensaries can’t locate within 1,000 feet of a school. The raids have also been tied to allegations that dispensaries have been selling to individuals who aren’t MMJ patients. Still, Goldner is sanguine about Detroit. Innovative Industrial Properties, a cannabis-focused REIT, caught the attention of MJ stock watchers this week when it filed to go public on the New York Stock Exchange. A Big Board listing would be a first for the cannabis industry. Jerome Dewald, managing member of Two Worlds Consulting, is bullish on the company, while Matt Karnes, managing partner of Green Wave Advisors, is not. Earlier this year, the Nasdaq rejected an application from canna-centric social media company MassRoots, ostensibly because it was a company that promotes distribution of a banned Schedule 1 substance. Innovative Industrial, which buys MMJ-related facilities and leases them, plans to sell 8.75 million shares at $20 per share. If the NYSE approves Innovative Industrial’s listing – and that’s a big if – the company’s success will depend on the fate of this fall’s nine recreational and medical marijuana state ballot initiatives. What if seven states vote yes? “There are going to be a lot of mainstream people who are going to ask, ‘How can I invest in this space?’ ” Dewald said. Karnes isn’t so sure. He noted that four of the five medical markets in which Innovative Industrial Properties plans to operate will vote on rec legalization this fall: California, Nevada, Arizona and Massachusetts. “They don’t address that at all,” Karnes warned. That’s a problem, he added, because it’s easier to find investors for MMJ than it is for recreational. The bottom line, noted Karnes: It will be harder for Innovative Industrial to woo investors who only feel comfortable investing in MMJ if it operates in states that also have a rec market. Louisiana’s medical cannabis program, which has been evolving through miles of red tape and political obstructionism over the past year and a half, may have taken a serious step forward after Louisiana State University released a business plan detailing how it intends to grow MMJ. The move may indicate LSU is serious about getting into cannabis production. But LSU could just be whistlin’ Dixie, according to one Louisiana activist who’s been trying to get the state to establish a workable MMJ system. “This just seems like it’s the Cadillac of plans in all respects, and that seems unwise,” said David Brown, president of Sensible Marijuana Policy for Louisiana, when asked about LSU’s $11.3 million proposal, which clocks in at 148 pages long. Brown, who has visited multiple grow sites in Washington State, said he’s seen operations that can produce plenty of product for Louisiana’s estimated patient pool – which is just 1,441, according to LSU’s business plan – for far less than $11.3 million. “They could do everything that they’re trying to do for under $500,000,” Brown estimated. There’s also uncertainty surrounding where LSU may get the $11.3 million, because the school has said it will rely on private investors. But Brown said that could prove a major hurdle. If Louisiana does indeed have a tiny patient pool, there may be no return on such an investment for at least five years, he noted. While Louisiana may be taking baby steps toward a workable MMJ system, it may still be some time before it’s up and running.